Every year we get bombarded with posters and slogans to get flue vaccines. We are witnessing a powerful psychological attack under the title “the Vaccine is the best protection against the flu!”. You can’t help but come to a conclusion that a common flue is the most dangerous thing in the world and thus, there is nothing else left for you to do except to get this shot. But wait! You have to know that flu vaccines have been proved to be not only ineffective but also toxic for humans and animals. The official body count of this year’s flu shot victims continues to mount, as yet another previously healthy individual is reported to have died not long after getting the heavily pushed jab. 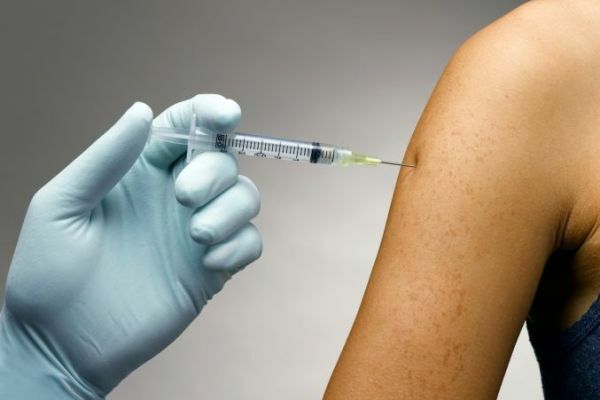 According to the Centers for Disease Control and Prevention, “The following substances are found in flu vaccines: aluminum, antibiotics, egg protein, formaldehyde, human aborted fetal apparatus (dead human tissue), monosodium glutamate (MSG), and thimerosol (mercury).” Flu vaccines are directly linked to long-term health consequences. One of the many problems connected with flue vaccines is the fact that it is virtually impossible to predict what strain of the virus will cause the epidemic in a given year. The flu virus is unpredictable since it changes its characteristics fast. Thus, last year’s flu vaccine may be completely ineffective against a flu strain this year. This predicament makes pharmaceutical companies work hard to produce sufficient pathogen material by establishing the best conditions in which different virus strains develop. The World Health Organization (WHO) sends the three most common strains to vaccine manufacturers so that they are part of the vaccine for the new season. “The trick is to get viruses, which can reproduce in these cells, but which have not changed so much that they are no longer good for the vaccination,” says Rolf Hömke from Germany’s Association of Research-Based Pharmaceutical Companies (VFA). “The vaccines would not produce the desired immunity in the body”, he adds. “When you get the flu vaccine, your body produces antibodies to three specific strains of the virus”. This demonstrates that basically you have a 3 out of 300 chance of being vaccinated for the proper viral strain. Furthermore, by the time you get exposed, the viruses might adapt and change their form.